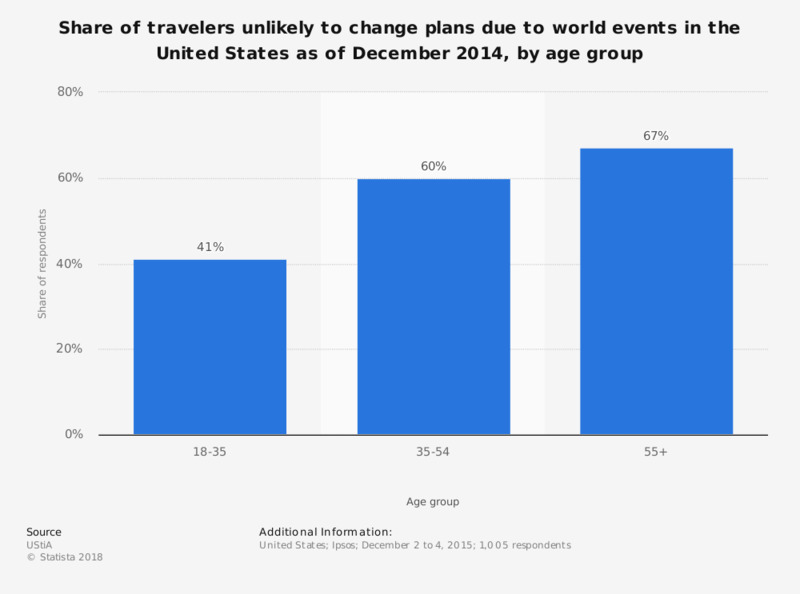 This statistic shows the share of travelers unlikely to change plans due to world events in the United States as of December 2014. During the survey, 67 percent of the respondents aged 55 years and over said world events would not affect their travel plans. Thinking about online videos, how would you say watching them has influenced the way you think about, plan, or book travel? Which of the following are the ones that concern you the most about the use that might be made of your personal data?